All-wheel-drive is only offered on the upscale 2010 Honda Accord Crosstour EX-L model, so consider carefully whether you really need it. With traction and stability control, the front-wheel-drive EX may meet your needs, and it'll save you $4,350 over the least expensive AWD option. The 2010 Honda Accord Crosstour expands all the good points of the legendary Accord brand into the crossover market; styling is its only weak point. TheCarConnection.com has driven the 2010 Honda Accord Crosstour to bring you this hands-on review that covers styling, performance, safety, utility and features from on-the-road observations. TheCarConnection.com's editors also researched reviews from other sources to give you a comprehensive range of opinions from around the Web-and to help you decide which ones to trust. High Gear Media drove a manufacturer-provided Accord Crosstour to produce this hands-on road test. Think "Honda Accord" and you'll likely picture a four-door sedan or two-door coupe. Now a new variation, the 2010 Honda Accord Crosstour, is meant to bridge the gap between nimble, fuel-efficient sedans and larger, more capacious crossovers. We might call it a large five-door hatchback, except Honda shrinks from the H-word. 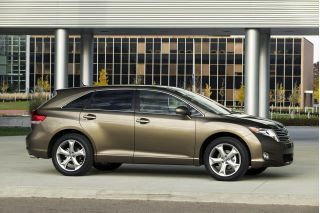 They call it an "active grand tourer" with "premium versatility", and it's quite similar to the Toyota Venza. Regardless of how it should be classified, the Crosstour takes all the typical Honda virtues-good handling, pleasant driving, clever features, and high gas mileage for the class-and expands them into the crowded crossover market under the legendary Accord name. Against hundreds of thousands of Accord sedans, it'll always be a niche model, but it gives current Accord owners a more flexible and capable vehicle to move up to. The model lineup is simple, the pricing is competitive, and it should do well-if you don't mind the way it looks. The "interesting and challenging feedback" to early photos of the 2010 Honda Accord Crosstour caught Honda off guard. That's a polite way of saying the Crosstour's shape is not to everyone's liking, and its hump-backed rear looks downright awkward from many angles. The front is recognizably Honda, with swept-back lights and fenders around a deeper, more garishly chromed grille. Behind the rear doors, the need to provide most of the cargo space of a crossover clashes with the stylists' desire to avoid the negative image of a large, boxy vehicle. But the Honda Accord Crosstour looks a bit better on the street than in photos; the tail is less bulbous viewed from an adult's eye level. Inside, a familiar Honda Accord dashboard and instrument cluster is updated only by the addition of blue lighting and new wood trim. A large speedometer and tachometer are flanked by smaller fuel and temperature gauges, with a display screen at the top of the center stack. Accord sedan drivers will feel instantly at home. The 2010 Honda Accord Crosstour offers just one combination of engine and transmission, a 3.5-liter V6 with variable valve timing mated to a five-speed automatic. The engine produces 271 horsepower and 254 foot-pounds of torque. To boost fuel economy, it can operate on four or even just three cylinders under light load, and the instrument panel includes an "ECO" light to point out when the driver is using the least gasoline. The two-wheel-drive model gets 18 mpg city, 27 highway, and specifying all-wheel-drive reduces the rating to 17 mpg city, 25 highway. 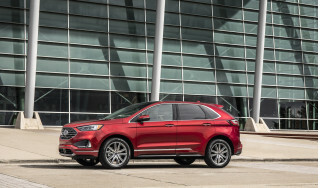 The transmission is tuned to maximize fuel economy, so it frequently downshifts two gears on uphill stretches, but the Crosstour never feels underpowered. The transmission also provides "downshift rev matching" on deceleration, so the engine is always in its most responsive range when power is needed. Towing capacity is 1500 pounds. Despite its greater bulk, the Accord Crosstour drives just like a Honda Accord-and that's a compliment. It holds the road well, avoids excessive body roll, and rides smoothly without being squishy. Honda touts its exceptionally stiff structure and low center of gravity, along with a drag coefficient (unspecified) they say equals that of a sedan. For a tall vehicle, it proved impervious to side winds, although our pre-production test car suffered a bit from wind noise on a blustery autumn day. The 2010 Honda Accord Crosstour is much taller than its sedan counterpart, but you'd never know it when you're inside the car. From the comfortable driver's seat, the cowl height is low enough that you forget you're driving something with 26 cubic feet of cargo space-at least until you look over your shoulder to see a lot more car back there. The rear seats hold two six-foot-tall passengers comfortably, and five adults will fit as long as they're relatively friendly. In addition to numerous shelves, bins, and boxes up front, Honda has taken pains to make the rear cargo area functional and convenient, with rear-seat fold-down levers just inside the tailgate, a cargo light, and a washable hidden box below the floor with a cover that flips over to swap carpet on one side for a rubber mat on the other. Cargo volume is 25.7 cubic feet, with another 1.9 in the hidden box, and a load bay that's 75.5 inches long with the seat folded down. One drawback: The rear strut towers intrude into the load area, reducing usable width to 30.7 inches between them. Material quality is as good as any other Honda, with a few added luxury touches. 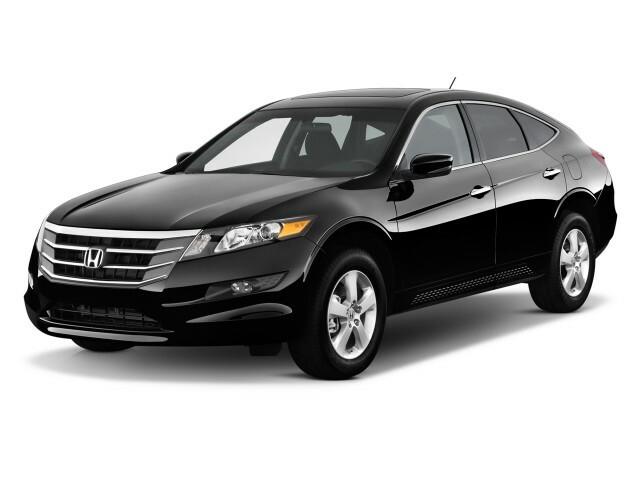 On the safety front, the 2010 Honda Accord Crosstour is well equipped, including front, front-passenger side, and side curtain airbags, and active head restraints. Active safety features include anti-lock brakes with brake assist in emergencies, traction and stability control, and a tire pressure monitoring system. The front bodywork of the Accord Crosstour is also designed to reduce pedestrian injuries by deforming to absorb collision energy. The 2010 Honda Accord Crosstour has not yet been crash-tested by the National Highway Traffic Safety Administration (NHTSA) or the Insurance Institute for Highway Safety (IIHS). Rear visibility is acceptable, though a line divides the rear view in the mirror, courtesy of the horizontal bar that separates the rear window from a small vertical pane below it. 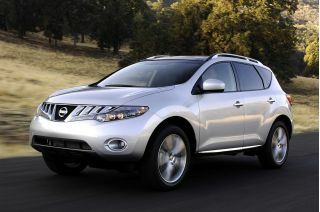 A backup camera with guidance lines is available, but only as part of the navigation system package. The new 2010 Accord Crosstour comes in EX and EX-L models, with all-wheel-drive (the first ever for an Accord) and navigation available only on the EX-L. 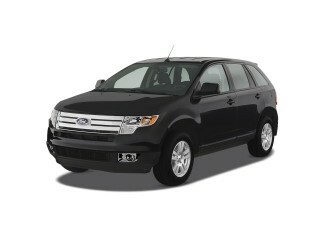 It carries a base price of $30,380 (including delivery), and a top-of-the-line model reaches $36,930. The standard features on the Accord Crosstour make even the base version well equipped. 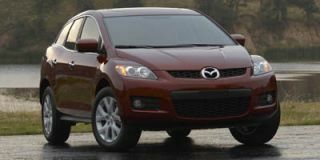 The EX comes with a moonroof; dual-zone air conditioning with second-row vents; a compass and outside temperature readout; auto-up/down driver and passenger windows; a 10-way power driver seat with lumbar adjustment, a 60/40 split fold-down rear seat back; an auxiliary jack, and a 360-Watt 6-disc AM/FM/CD player with 7 speakers. 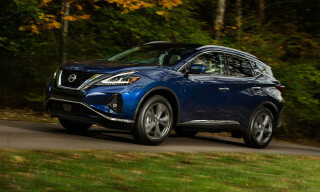 Upgrading to the EX-L (add $1,450 for all-wheel-drive) includes leather seats, steering wheel, and shift knob; front seat heaters; memory settings for mirrors and driver seat; a cargo cover; a USB jack; and a Bluetooth hands-free phone link. And a further $2,200 provides a voice-activated navigation system that includes a backup camera with reversing guidance lines. Looking for a different year of the Honda Accord Crosstour?